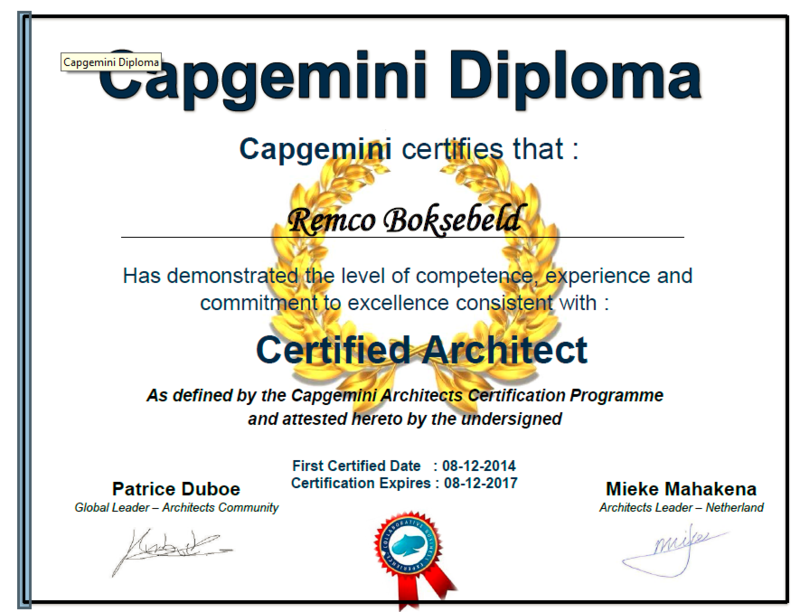 After a lot of preparation on my application i got invited for the interview to get certified as an architect within Capgemini. 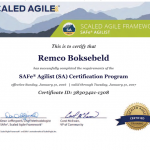 In an nice blog post Mike Walker shows that the importance of a certification in the area of enterprise architecture is growing. 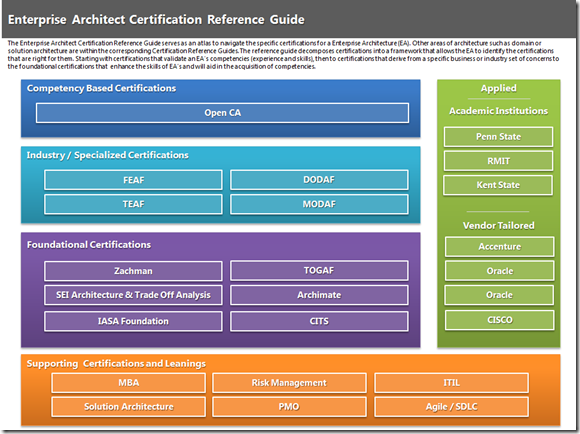 Beside underpinning this phenomenon he shows framework in which he positions the different EA frameworks. 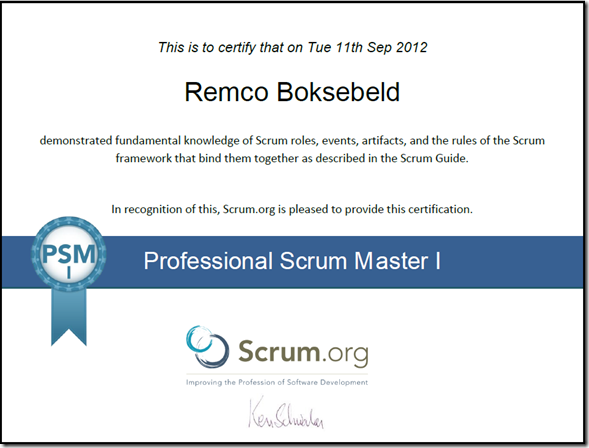 He distills foundation frameworks that can be applied in every environment. Next to these foundation frameworks some industries have specific frameworks such as the well know DODAF. 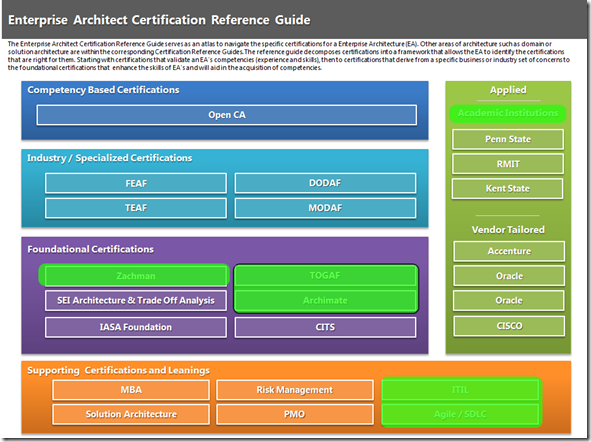 There are also vendor tailored frameworks such as an oracle certification. 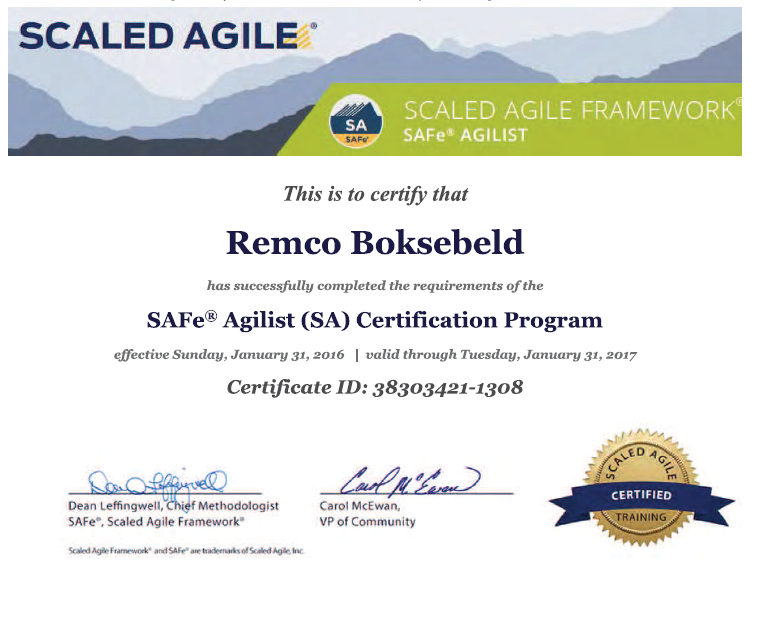 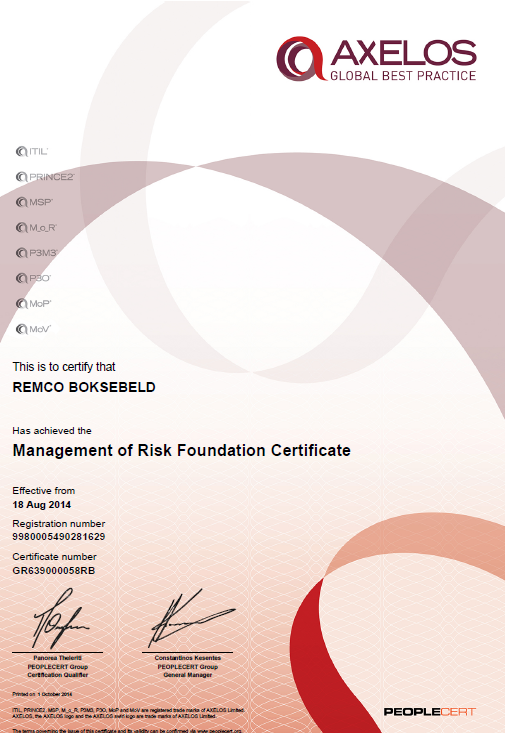 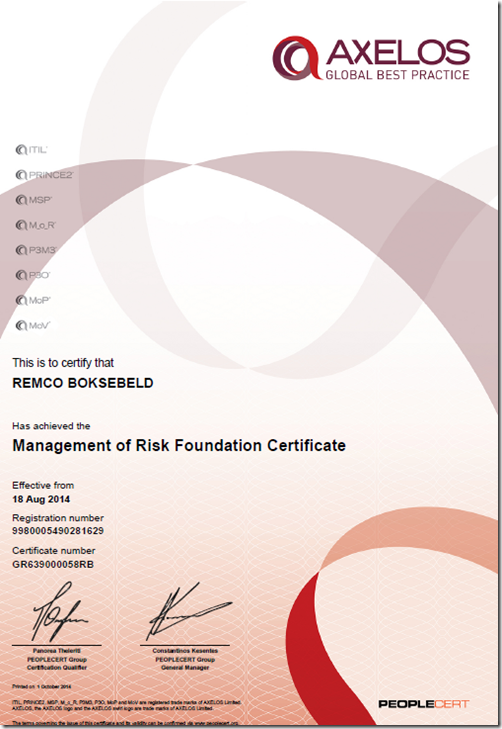 Academic certifications are also on the list, for example I did one. 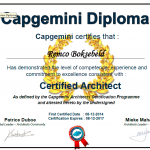 And there is a certification based on the competencies of the architect, this is based on what you achieved in you’re career. 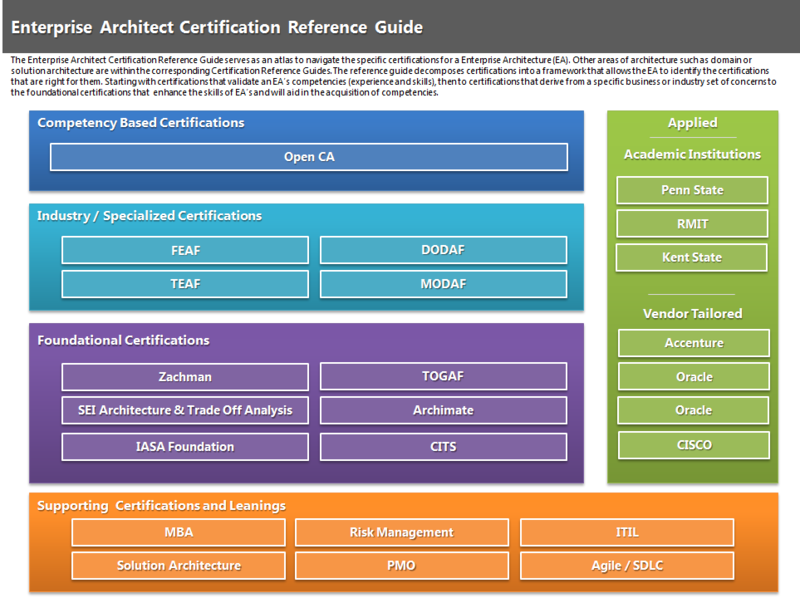 Besides these EA certifications some other certifications are very handy such as project management and business administration. So when I see my list I see I need to focus on the foundation and competency a bit more.